These tags were featured on Lawnscaping Challenges blog. I was Spotted and Hearted!! 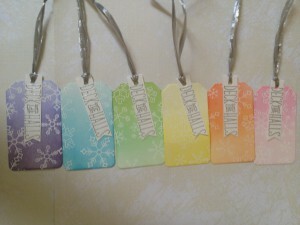 I am trying to get a head start on my Christmas tags this year. I started with this set of 12. Six were done with an ombre effect. The other six were an excuse for me to practice my ink blending. The color blending set. I also added water droplets to this set. 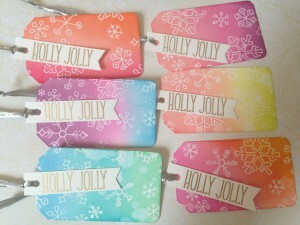 I used three colors on each tag. 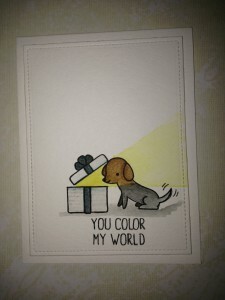 Here are the colors I used. 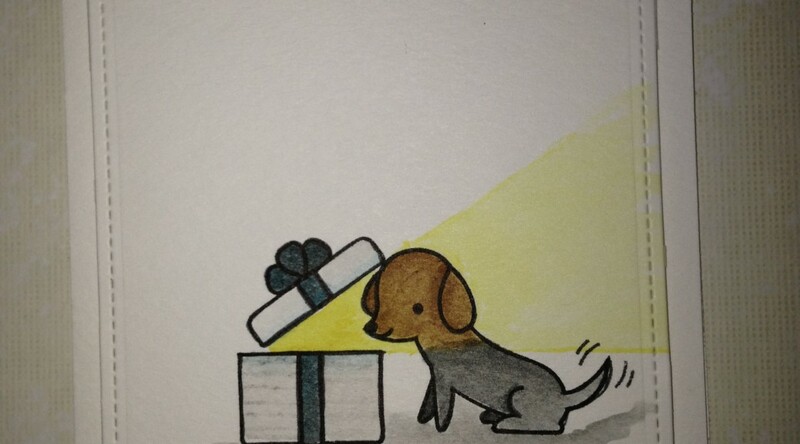 Extra Details: I started with a full sheet of water color paper. I stamped and white heat embossed snowflakes all over it. Once the embossing was cooled, I die cut the large piece of paper into twelve tags. I had a few small strips left over also; you may see them in some other tags later on. Then, I started ink blending. Lots and lots of ink blending. 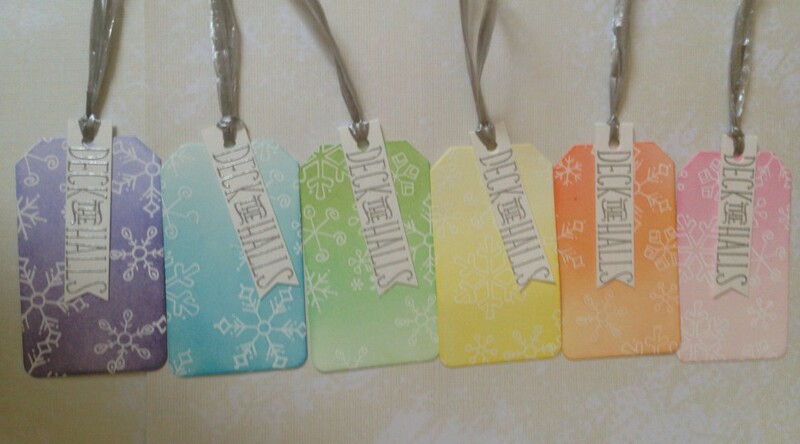 I added water drops to the multi colored tags. To finish the tags, I cut small strips and heat embossed a sentiment on them. I used gold or silver embossing powder. I tied the tags together with some silver raffia I had in my stash.